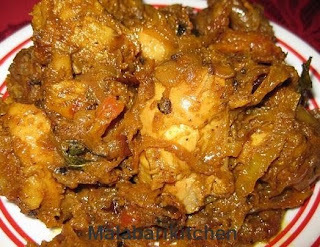 This is an easy to prepare dish and very sweet in taste. Children will surely like this one. If you don’t have much time and don’t know what dessert to prepare for any party—you can try this recipe. 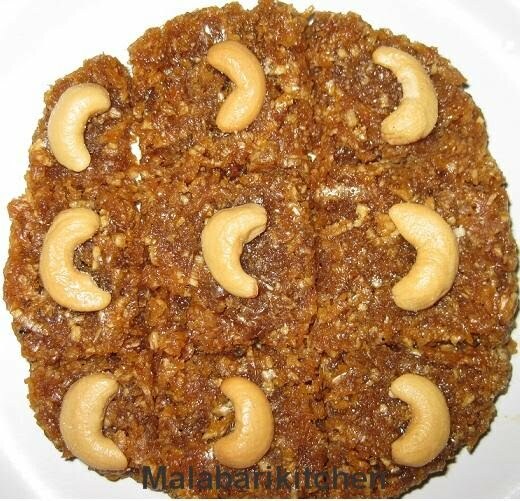 =►Boil ½ cup water along with jaggery and make a thick liquid. =►When it becomes thick add grated coconut, cardamom powder and ghee. =►Saute it well for 3-4 min on medium flame. =►When the mixture turns very tight, switch off the flame. 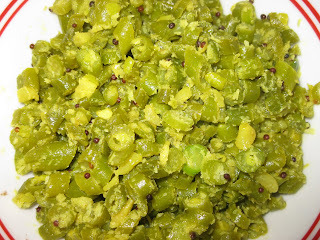 =►Transfer to plate (add little bit ghee on plate. =► Spread it evenly and keep it in refrigerator for less than 1hour. =►Take outside and cut it into small pieces. 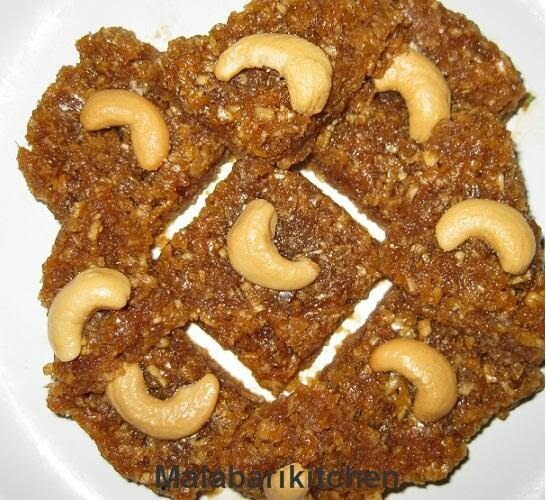 Coconut halwa looks so tempting.. very delicious. I love coconut burfi. Haven't tried halwa.. wil try this for sure..